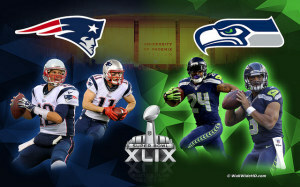 This Sunday the wait is officially over – the Superbowl is here! Football fans across the country have already started preparing to watch and celebrate Sunday’s Super Bowl with friends and family. Our Citrus County Injury Lawyers at Whittel & Melton are encouraging NFL fans to enjoy the game responsibly and designate a driver if they intend to drink. Whether you’re hosting a Super Bowl party or out watching the game with friends, remember that fans don’t let fans drive drunk. It should always be to priority to get home safely. The NHTSA, NFL and the Techniques for Effective Alcohol Management Coalition have joined forces with local highway safety and law enforcement officials to remind everyone about the national campaign, “Fans Don’t Let Fans Drive Drunk.” If you are hosting a party, watching the game at a bar or restaurant or even attending the game, always make sure you have a sober ride home before choosing to drink. Select a sober driver or plan another way to get home safely before you start partaking in Super Bowl festivities. You can even use the NHTSA’s new SaferRide mobile app. This app helps people who have been drinking get a safe ride home by identifying their location so they can be picked up. You can get the app for Android devices on Google Play and Apple devices on the iTunes store. Do not let friends drive if they have had too much to drink. When you are on the road, always buckle up – this is always your best defense against drunk drivers. Remember, you can be held liable if someone you served at your soiree ends up in a drunk driving collision. Have plenty of non-alcoholic beverages at the party. Keep the numbers for local cab companies on hand, and take the keys away from anyone who has had too much to drink. Offer your couch to friends and family if need be. If you or a family member is hurt in a drunk driving accident this weekend, a Citrus County Injury and Wrongful Death Lawyer at Whittel & Melton can help. Call us at 352-726-0078 or contact us online for a free consultation.